Tactical Front Sights with Red Laser aid your aim for precision shooting! SAVE BIG! Hit your target with dead-center accuracy every time. 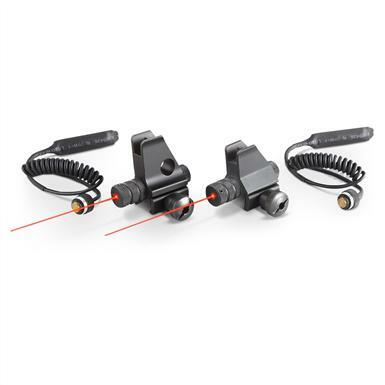 Includes a pressure-switch-activated Red Laser to help dial in your focus in the critical moments before you pull the trigger. Hard-anodized finish for wear resistance. Get an edge to heighten your shooting experience... order a Front Sight today!